When will I get my order? : Your order will take 1 week to process; add ship time from NY. Please refer to this map (Click here for map) to calculate shipping time. 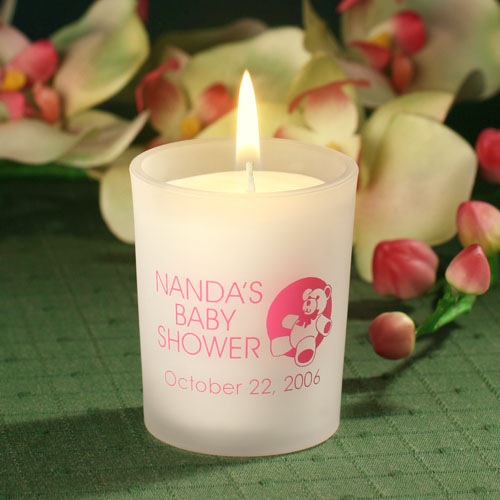 Your guests will enjoy this cute personalized candle favor - choose your design and imprint color and then your child's personalization information. 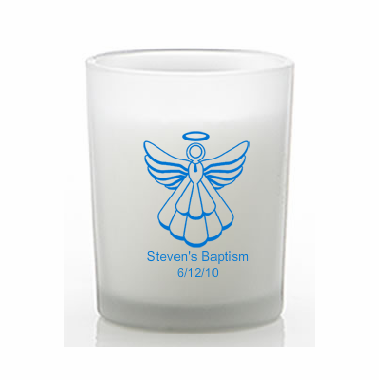 These candle favors will be one of a kind favors for your child's special day; perfect for baptism favors, communion favors, confirmation favors, baby shower favors or adoption shower favors. These are frosted glass candle holders with a poured candle inside. 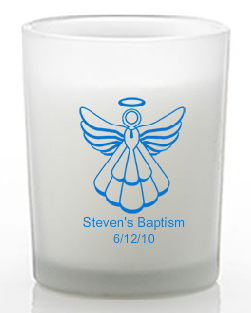 Each candle holder measures 2" diameter and 2" tall. These candles are shipped in bulk packaging - not individually boxed.